Many people are hoping for wind and solar PV to transform grid electricity in a favorable way. Is this really possible? Is it really feasible for intermittent renewables to generate a large share of grid electricity? The answer increasingly looks as if it is, “No, the costs are too great, and the return on investment would be way too low.” We are already encountering major grid problems, even with low penetrations of intermittent renewable electricity, which in the U.S. was 5.4% of 2015 electricity consumption. In fact, I have come to the rather astounding conclusion that even if wind turbines and solar PV could be built at zero cost, it would not make sense to continue to add them to the electric grid in the absence of very much better and cheaper electricity storage than we have today. There are too many costs outside building the devices themselves. It is these secondary costs that are problematic. Also, intermittent electricity sold in competitive markets (such as California and Texas) tends to lead to very low wholesale electricity prices. Other electricity providers need to be compensated for the effects these low prices cause; otherwise they will leave the market. The tiny contribution of wind and solar to grid electricity cannot make up for the loss of more traditional electricity sources due to low prices. Numerous states around the country have implemented renewable energy standards, many without taking a very close look at what the costs and benefits were likely to be. A few simple calculations were made, such as “Life Cycle Assessment” and “Energy Returned on Energy Invested.” These calculations miss the fact that the intermittent energy being returned is of very much lower quality than is needed to operate the electric grid. They also miss the point that timing and the cost of capital are very important, as is the impact on the pricing of other energy products. 1. Is it really feasible for intermittent renewables to generate a large share of grid electricity? 2. Are policymakers doing enough to improve technological development of energy storage to support intermittent renewables during off-peak generation? 3. In the absence of energy storage, how can grid operators manage intermittent renewables to mitigate against problematic secondary costs? Of course it is possible for renewables to supply a large share of grid electricity. It is being done today in Denmark (>30%), Germany, and elsewhere, and Denmark is moving to 100% renewables by 2050. It is more difficult to handle the intermittency of renewables in a small country like Denmark than it is in a large country like the US. While policymakers should do more to promote development of renewables and storage, there is no reason to wait for new technologies before deploying more renewables. In fact, we have already waited too long. Besides storage, there are many other ways to accommodate intermittent supply such as demand response. Mark Jacobson of Stanford has laid out plans for how each state can get to 100% renewables with no new technologies. While there may be some “secondary” costs associated with renewables, the secondary costs associated with fossil fuels are enormous… and must be paid by society. Flooding, drought, sea level rise, and extreme weather have all already increased as a result of burning fossil fuels and the impacts will grow much larger in the coming decades. While the secondary costs associated with renewables are short-lived, the secondary (external) costs associated with fossil fuels last for thousands of years. It is the role and duty of policymakers to implement policies that result in the highest overall benefit to society… and to protect citizens from existential threats. Therefore, policymakers should be implementing policies now, such as a price on carbon, that result in rapid reductions in greenhouse gas emissions. I am talking about intermittent renewables-primarily wind and solar PV. These are the problems. Electricity from hydroelectric and from burning wood chips or waste are not problems. You need to clearly distinguish, not dump all renewables together. Germany has been causing big problems for the electric grids of its neighbors, by dumping intermittent renewables on the grid. They are also depressing wholesale prices below the cost of production for other producers of electricity (coal, natural gas, and nuclear). These intermittent renewables amounted to 12.2% of Germany’s electricity in 2012, when they started causing problems. They were up to 19.5% in 2015 of total electricity. The EU changed the rules, starting in 2017, because the growing spikes of intermittent electricity were such a problem. Denmark is a tiny country. In 2015, it had only about 5% as much electricity generation as Germany. Denmark is also a net energy importer, situated next to two countries that export relatively cheap electricity from hydro. It is in a situation different from that of virtually every other country in the world. Even with these advantages, Denmark has had to very substantially subsidize its intermittent renewables. Both the percentage of subsidy and dollar amount increases each year, according to analyst Paul-Frederik Bach. In 2015, subsidies amounted to 66% of total cost. It is hard to see this situation as a success. Gail: It is true that intermittent renewables have there own set of challenges and costs for utilities. But we should not be looking at this issue from only the utilities’ perspective. This is an energy policy forum, and we should be discussing which energy policies benefit society the most, not which ones benefit utilities’ shareholders the most. While intermittent renewables require utilities to deal with issues they don’t face with fossil fuels, those costs, as you point out, will fall on the utility who will rightly pass them on to consumers. As I point out, I don’t think the costs will be as high as you imply because of reductions in storage costs and the use of demand response and other approaches. But even if these costs are what you imply, they are nowhere near as high as the external costs of burning fossil fuels. The problem is that these external costs — by definition — are not borne by the utility and passed on directly to the consumers of the energy. But external costs must be paid by society in the form of higher taxes to pay for more frequent extreme weather disasters including floods and droughts, higher insurance premiums, higher uninsured losses, higher food prices, property lost to sea level rise, higher military spending to deal with increased unrest around the world, etc., etc. And while the benefit of slightly lower utility bills is fleeting, the external costs of burning fossil fuels last for hundreds to thousands of years. So, we need to look at the total costs to society of different energy choices and make sure we develop energy policies that benefit society the most now and in the future. Yes, it is feasible to achieve our carbon and clean energy goals, but we need to get real about integration, the scale of the need and start planning now for proven “closed-loop” (off-stream) pumped storage hydropower in conjunction with distributed resources that don’t burden the consumer with costs that would be more economically achieved and controlled by utilities. Batteries are needed snorkels; however, we need several strategically-located scuba tanks in the grid to cover deep penetrations of renewables reliably, cost-effectively. Policymakers need to provide more more long-term market incentives to cover the many grid services pumped storage hydropower provides to the electric system. State electric regulatory commissions also need to encourage this proven storage technology by providing for grid-scale rate-base recovery by utilities to foster procurement initiatives. Regionalization of electric systems/balancing authorities and building new transmission helps, but storage is needed. You can’t run gas plants backwards to manage wind and solar curtailment and oversupply on a gigawatt scale. Storage helps, but it doesn’t solve all energy problems. There is substantial seasonality in both electricity energy production and electricity energy usage. For example, hydroelectric is available to the greatest extent in spring. Peaks in electricity consumption tend to come in the winter in cold countries and in the summer in hot countries. Storage is not really helpful for solving these seasonality problems. To counteract seasonality, we need an approach where we can store the fuel, rather than the electricity. This can when the fuel is coal, natural gas, oil, or wood pellets. Gail you are correct as far as you go but there are sources of renewable energy that are available 24/7/52 with almost no disruptions. The problem is that these sources do not have the energy density that solar, wind, wave and tidal solutions do. The result is that almost nobody is looking at them. Almost nobody will admit that the highest cost for renewable energy is not the capital cost, labor or operational costs but the variability of supply. Everybody has been rushing full speed to places and systems that use the availability of high energy density as best as possible forgetting that every place the energy density is the greatest it is also the most variable. If you have a base load you can leverage the existing power grid to actually beat in pure economic terms both carbon and nuclear power. To do that you need to understand what a difference no fuel cost combined with the supply demand curve that limits all power grids can do. But think if you can substitute the costs of the smart grid and storage with profit generators. For the most recent, rigorous modelling of what is possible I know of, look a recent article in Nature Climate Change done by scientists at NOAA’s Earth Sciences Lab. Using a bottom up, highly granular model of the lowest cost way to meet future US electricity needs, they concluded that creating a national grid using 47 HVDC connectors the US could inject enough renewables to cut carbon emissions by ~80% while lowering electricity costs by more than $0.01/kwh vs. a continuation of present Balkanized grid without national connectivity. What enabled this seemingly surprisingly result is that the cost of the HVDC transmission is only about $.003/kwh, and enables all customers to access the highest quality wind and solar resources in the country without the need for significant storage to ensure reliability. In this model the renewables are backed up by current levels of nuclear, hydro and a slightly diminished amount of natural gas; renewables provide 59% of total electricity. I think that there are several things you are forgetting. Even if it looks like we can get 80% of our electricity from intermittent renewables, we still need close to 100% of our electricity generating capacity of other types–hydro, nuclear, natural gas, coal, and various smaller types. The problem is that as long as there are times when no generation for wind and solar available, we need to have backup supply to handle these times of outages. In hot climates, generally the annual high in electricity usage comes during the summer, with air-conditioning usage. In these areas, it is true that solar can often shave off some of the peak needed. But in cold areas, the peak comes in the winter, and there is very little if any benefit in terms of generating capacity. We need to have the complete backup capacity, “in case” it is needed part of the year. Workers must be paid for these plants for 12 months of the year, not for 20% of the year, because their expertise is needed, and they will not take jobs for 20% of the year. We even need to train new workers, if these workers are to be able to retire. Pretty much all of the savings is fuel savings. Even part of the savings will disappear, it we offset it with the need for additional transmission costs. Thus, even when we can reduce CO2 emissions by 80%, we may not be able reduce the cost of backup generation by much at all, since we must, in effect, operate two generating systems simultaneously. Doing so greatly increases our cost of generating electricity. Most cost estimates do not consider this problem. Regarding your cost estimates for transmission lines, one issue is that with intermittent renewables, transmission lines are not used 100% of the time. Typically, they are used a rather small percentage of the time, say 30%, but lower for solar. We need to overbuild transmission lines for this reason, making costs higher. There is also the issue of the loss of electricity when it is transported long distances. These line losses can be substantial. There are real-world cost estimates of transmission costs available, for example in Germany and in China. I expect that you should be using these, rather than someone’s idealized cost of what transmission costs might be. Getting the lines planned and built takes a very long time–as much as ten years at times in some places. This may be an issue in making any real-world plan take place. Please name any nations that satisfy your claim. We need to clear up confusion in the energy conversation about the difference between nameplate capacity and actual production. Most advocates of intermittent RE cite nameplate ratios as penetration. Nameplate means little for plants which are frequently underperforming or offline. However, you refer to total electricity above, which I take to mean MWh of energy generated, which is a far more meaningful metric of penetration. Even more meaningful is the ratio of total RE production to total energy consumption — not just the electricity sector. Let’s have an honest appraisal of how far we really have made it down this path for all the costs imposed to date. Dan, thank you for continuing to hold up Denmark as an example. It is useful to consider what is really happening there, as there is something rotten about the renewable energy claims made with respect to this nation. Denmark is essentially the wind district of the European grid, whereas Norway and Sweden are the hydro district, and Germany is the solar district. All of these trade power feverishly, and often at great economic loss, over a transmission grid that has had to be bolstered at significant expense in order to accommodate and balance spasmodic RE generation with instantaneous load. This grid also imports nuclear baseload from France and fossil fuel power from the Baltics. Here is a nice real-time depiction of Denmark’s power trading (http://www.energinet.dk/Flash/Forside/UK/index.html). Denmark is not close to being able to balance its current wind generation portfolio with its own load without severe curtailment and construction of additional ramping sources, so citing wind penetration statistics for Denmark is disingenuous. It is only meaningful to calculate penetration over the entire grid required to balance that penetration. A more valid number would be the wind penetration of the EU grid, the solar penetration of the EU grid, and the hydro penetration of the EU grid. And the proper calculation of costs would include the grid CAPEX and O&M required to accommodate the power trading essential to balance out these levels of RE penetration, as well as the cost shifting caused by government-mandated offtake priorities that require Denmark and Germany to often force surplus RE onto the grid at a loss or even at negative prices, only to later buy back dispatchable power made by coal and natural gas at a premium. And even with all this power trading, retail prices vary by a factor of three across the EU and are not converging. Also, there continue to be localized price spikes like the four-fold increase from 21 Euro/MWh to 81 Euro/MWh that hit Nordpool in Jan 2016 when wind and hydro both failed to supply. Rather than wikipedia, I would look to sources such as http://ec.europa.eu/energy/observatory/electricity/electricity_en.htm to research Europe’s experiment with RE and quantify intermittent power penetration and its net costs. The point you’re trying to raise, Gail, is a valid one. Unfortunately, it’s not coming through. The problem is the vagueness inherent in the first question. There’s no consensus on just what constitutes a “large share” of grid electricity. Messrs. Miller, Sandvig, and Pope above obviously feel that 30% qualifies. If they choose to define it that way, fine, that’s their prerogative. However, unless they’re stipulating that the other 70% is from nuclear, hydroelectric, geothermal, and storage, then we can forget about halting the rise in atmospheric CO2 levels. You put it better in your framing statement when you said you’d come to the conclusion that “it would not make sense to continue to add [intermittent renewables] to the electric grid in the absence of very much better and cheaper electricity storage“. (My emphasis re. storage). I sort of agree with that. At least I think there’s a point in the penetration curve where that becomes true. How much higher than 30% that point lies is hard to say, but it’s a long way from 100%. This is a controversial point, and there’s confusion about it. Some of that confusion manifested in the discussion thread on government projections for clean energy. It centered around NREL’s ERGIS report and differing interpretations of what it was and was not saying about a 30% penetration level by renewables in the eastern US grid interchange area. There are evidently different understandings of what “backup” for intermittent renewables actually means. The ERGIS report found that with good prediction and dispatch control software, plus modest transmission enhancements, solar and wind resources could be accommodated at the 30% penetration level utilizing existing dispatchable generation capacity. Some advocates for renewable energy have taken that conclusion as refuting claims that non-trivial penetration levels for renewables require installation of new fossil fueled generation capacity to serve as backup for the intermittent renewables. They’re partly right. 3) In order to minimize the negative effects of increased cycling on equipment and carbon emissions, the simulation employed an omniscient, hyper-centralized control algorithm that coordinated and optimized dispatch schedules for equipment over all RBAs within the EI (eastern interchange) in a manner that is not available to individual TSO’s within the EI. In effect, it created a super-monopoly that “owned” all assets within the EI and operated the assets to optimize the overall system. There’s irony in caveat 3 above. Monopoly control of assets and global optimization of dispatch were once the norm for operations within individual RBAs. Interchange among adjoining RBAs weren’t efficiently coordinated, and they still aren’t. That part of the ERGIS control algorithm is obviously unrealistic. But ever since deregulation split grid operation from generation in the name of “competition”, the TSOs / ISOs are unable to control dispatch schedules for optimal operation of the system as a whole. They’re forced to rely on an auction system that reflects what’s optimum for individual power and service providers. That’s provably quite different than what’s optimum for the system as a whole — and for consumers. All this is not saying that high levels of penetration by intermittent renewables is impossible. It’s possible and probably even desirable. But it needs help from advanced storage technologies. Failing that, it at least needs help from flexible generation technologies that minimize cycling and partial throttle penalties. Unfortunately, the insistence by advocates that renewables can simply be added to the grid and the system will magically adapt is destructive. Not only does it sweep real financial costs under the rug, but it also leads to higher specific carbon emissions that diminish the intended gains from adding renewables. I think I have seen the study you are talking about. The study didn’t try to go into all of the engineering detail that would be needed to actually lead to a balanced grid with 30% intermittent renewables; it certainly didn’t develop a cost estimate of the additional steps needed. It is much easier to say, “Theoretically this can be done,” than it is to say, “Yes, we can do this. The steps needed are precisely the following: ___, and the cost will be precisely this amount: ____.” A friend of mine who works in developing new biofuels tells that engineers must work step by step in scaling up chemical processes. First a very small batch is produced; then a slightly larger batch, and so forth. It is not good practice to scale up biofuel production by more than a factor of 10, as engineers work their way toward producing a product that can be produced in quantity. I expect that something of the same problem happens here. The engineers “know” that in theory it is possible to develop a system with 30% intermittent electricity for the Eastern Corridor. They have a vague idea of how this might work, but in practice, they would have to try small incremental changes, and figure out what exactly what additional changes are needed. The total cost is unknown; it may very well be very high. The procedure required may also assume that profit making organizations can be forced to do things that are not in their financial best interests–an assumption that is doubtful. We can theoretically do a whole lot of things, but we have no idea whether we can do them at an affordable cost. In many ways, engineers who write articles saying that in theory, we can used 30% intermittent electricity, at some unknown cost, are not really doing us a favor. They may be dangling something in front of us whose cost may be far more than the economy can really afford. The existence of the possibility will cause people to lead people to work in that direction, without understanding that the cost may be far outside what the economy can really handle. If people don’t understand our limit is really an affordability limit, they will think that the possibility that we can do something is sufficient. It is really not, unfortunately. Non-hydro renewables (wind, solar, geothermal, tidal) are intermittent by nature and so require redundant gas capacity. Few new gas wells are being drilled, so gas looks poised to skyrocket as the old wells run out of gas in 2 years. There’s no reason to hope that a new administration will increase gas production, with the water impact of fracking becoming widely known. So blackouts can be expected if renewable baseload remains the goal. I think you are mostly right–we may very well have blackouts in the near future, if we use intermittent renewables. Part of the problem is that when competitive pricing is done, intermittent renewables tend to drive price below the cost of production for all other electricity sources. This leads to other electricity sources (such as nuclear) leaving. Prices remain too low for much new natural gas to be built. If natural gas production is built, it is just the generating units–not enough pipelines and new natural gas wells to really operate the generating units. I am not sure that prices will rise very much before the blackouts occur. Instead, I am afraid that our underlying problem is an affordability problem that is keeping all commodity prices low. Too many young people are in school indefinitely. They can’t afford to start a family when they finally finish. Demand for finished goods stays low, keeping commodity prices low. With low commodity prices, no one wants to build new natural gas wells (or oil wells, or extract coal). This question needs some bounding. What constitutes a large share? The general consensus seems to be that 20-30% is reasonable. Beyond that, some combination of storage, demand-side management, and/or transmission sufficient to enable energy trading across larger geographic regions may be necessary. Also, what constitutes feasible? If the question is whether it is technically possible, that’s a different question than whether it is economically competitive. And policy can always be changed to alter what is deemed ‘economically competitive’ or set set minimum standards that enable renewable generation that might not be competitive otherwise. As an engineer I bristle at the notion that policymakers are the ones that would be improving technological development, as though a policymaker can wave a magic wand and solve technical challenges that smart scientists and engineers are working hard to overcome. More funding would probably be beneficial, as would some improvement in policy restrictions that currently prevent storage facilities from being able to capitalize on all possible revenue streams in electricity markets. But the biggest challenges are technical – cost, lifetime, geographic specificity, round trip efficiency. Progress will be made, but it will take time, funding, and patience to really produce a product that has sufficient performance to generate sufficient market demand to enable economies of scale that will make the additional cost-reductions possible. In an age of user interfaces in (almost) everyone’s pocket, wireless communications systems in (almost) everyone’s buildings, and computational power accessible via the internet to (almost) every building, demand-side management can do quite a lot to help balance intermittency in the electricity supply. Having smarter pricing for all consumers wouldn’t hurt either. Let me point out a couple of issues. One of them is that the common belief that we “run out” of fossil fuels is basically wrong. The problem is that the cost of production becomes too expensive, and the price doesn’t rise high enough because of affordability problems with respect to finished goods. Governments’ ability to “fix” this problem is very low. If nothing else, voters object to paying higher prices for fuels, especially when there seems to be a surplus to begin with. You seem to have great faith that governments can “fix” any problem. The issue at hand is that electricity and other energy products need to be affordable for citizens to be able to buy them. Governments quickly reach their limit on how much they can do to fix this problem. The common belief that fossil fuel prices will rise, and when this happens, we will be able to substitute intermittent renewables is just plain nonsense, in my opinion. The problem is that prices don’t rise enough. Whether or not 20% or 30% or any other amounts of intermittent renewables can be added to the electric grid is to a significant issue a price issue. If it is too expensive, that will be a big problem. Also, having a double generation system (renewable and other) tends to produce way too much supply, thus driving prices for down for the types of generation needed for backup. As a result, we can easily end up with a system that doesn’t work, even though every engineering study in the world seems to claim it will. Engineering studies don’t really look at enough of the total problem. It is the financial part of the story that decides whether the system can work or not. To be honest, I view energy policies and regulations in the US today as being far more intermittent and costly than solar energy is. If technology would allow us to generate solar energy on a reliable basis during peak hours of East coast at 6 cents per kwh, and PJM tells me it costs 2 cents more to ship it their region where they pay >= 8 cents per kwh for electricity in that time period, the “intermittency” problem is more a matter of market failure. Many market failures, such as barriers which make it hard to expand transmission, grotesque perversion of environmental regulations blocking major solar farm and transmission projects, and political nonsense which gives priority to “my state” projects costing over 20 cents per kwh for electricity which is far less reliable. There is also a technological option for 24/7 power from space, using the new designs developed mainly from Japan’s investment (as in Mankins’ recent book The Case for Space Solar Power) — a clear technology option blocked by folks who want space to be a set-aside historical preserve for Apollo on steroids, Apollo on barbiturates and lately Apollo on a combination of LSD and formaldehyde, blocking the development of lower cost access to space which we had the means to implement many years ago. Is the new Lockheed Mach 20 project a sign of recovery? I doubt it, since their previous Mach 10 article melted in test causing an explosion, vastly embarrassing DARPA, due to a previous DARPA director accepting their lobby’s push to overturn previous technical plans which would have worked? In sum, we do have the technology for solar farms and SSP both (both reliable, requiring not so much storage as all that when combined); what we lack is on the policy level. I am very much aware of space solar power. In fact, I think I am in the same Google Group as you are with respect to space solar. I know I have a lot of messages from you in my mail. I agree that space solar is designed to get rid of the intermittency problem, as long as that there are not unforeseen problems (too many problems with debris; too many problems with solar flares and other changes). The two big issues with adopting space solar are timing and cost. We need a solution now; it is hard to make space solar available soon enough. The other issue is keeping the cost low enough. Our economy cannot operate on expensive energy. Ideally, the wholesale electricity price should be kept down in the 3 cents per kilowatt hour range. A note on the discussion about the difficulty of going beyond 30% renewable penetration to close to 100% penetration. It will take a decade or so to get to 30% penetration and we know that can be done because we have existence proofs (Denmark, Germany, etc.). But we should not compare a 100% renewable world with today’s world. When we start to move from 30% renewables to 100%, the world will be a very different place. Climate change will be wrecking more havoc upon the world and there will be a national (and hopefully, global) price on carbon and other policies focused on rapidly phasing out fossil fuel emissions. The Internet of Things (IoT) will have significant penetration and lowering energy demand using demand response and improved efficiency will be relatively easy. Renewable energy will be cheaper than fossil fuel energy in most applications. Energy storage will be cheap… energy storage batteries will be well under $100/kWh (one of our companies will be hitting that target in a year or so) and utility-scale energy storage systems such as Quidnet will be even cheaper. It is not fair to compare a future renewable energy world with our current status quo world. The status quo is, unfortunately, not one of the options available to us anymore. The costs of moving to a renewable energy world will be far, far less than the costs of living in a world where we continue fossil fuel emissions. From a physics point of view, our economy is a dissipative system. As such, it is a self-organized system whose purpose is to dissipate energy. Other examples of dissipative systems include hurricanes, star systems, ecosystems, and groups of cancer cells. All plants and animals are also dissipative systems. Once the source of energy to a dissipative system is lost (or even moderately reduced), the dissipative system collapses. Humans die without food; hurricanes collapse not long after they move over land. If an ecosystem found itself without sunshine, it would soon collapse as well. An economy also operates on energy of various sorts: fossil fuel energy, nuclear energy, hydroelectric, and various other kinds of renewable energy. It too will collapse, if it does not get enough energy supplies. You can hypothesize all kinds of things going forward, but as a dissipative system, there are considerable limits on what changes can be made without the economy collapsing. I am a coauthor of an academic paper that argues that the limits we are reaching is an affordability limit. An Oil Production Forecast for China Considering Economic Limits If this is the case, there are absolute upper bounds on energy prices. It doesn’t matter whether renewable prices are less than fossil fuel prices, because above a certain price (which seems to be about $50 per barrel), fossil fuel isn’t affordable. Above a certain price, consumption starts to fall, and the economy starts to collapse. We got an opportunity to witness some of this in 2008. We are again on the edge, with interest rates very low, and rumors of bank failures in the near term. All of this is (unfortunately) related to the affordability of energy supplies. See also my article, Oil Supply Limits and the Continuing Financial Crisis. Thus, all of the renewable energy research that is done really operates within very severe cost restraints. It also is subject to very a need for a huge supply to be available, so that per capita energy does not fall too much, and the whole system collapse. A lot of what you are thinking about may not be feasible, given physics constraints. Gail: Without directly addressing your hypothesis that our economy is a dissipative system that will collapse if energy prices stay above $50/barrel, as I point out above the real costs of fossil fuels to society greatly exceeds the the price paid directly for a barrel of oil (or ton of coal, etc.). So, if you are right, then sticking with fossil fuels will cause a collapse of the economy and, unfortunately, climate scientists seem to agree with you but maybe not for the same reasons you suggest. The good news is that the economy doesn’t really care where its electrons come from. Renewables can supply a growing share of of our energy needs. And the US is so wasteful with energy, we could cut back quite a bit while improving the economy (the economy does better if we achieve more productivity with less energy). Since the fuel cost for renewables is essentially free, the cost of renewables is determined in large part by financing interest rates, equipment lifetimes, and equipment costs (plus the costs of adjusting the grid to handle the intermittency issue). I think our economy can deal with those issues in a more accommodating fashion than the it can with the impacts of climate change. Lifecycle cost of storing electricity before combustion as hydrocarbon fuel (diesel, natural gas, coal) is pennies per/kWh. Storing electricity after generation in batteries currently ranges from $1 to $1.50 per kWh based on real-world utility-scale projects actually operating (e.g., SCE’s Tehachapi LiON battery storage site opened in 2014). A six- to ten-fold improvement is needed in cost-effectiveness to make battery storage a competitive alternative to even expensive diesel generation for dispatchable power. And the storage option still depends on other generation because it is not a power source. When PV solar plus 1 hour of storage at full nameplate can be delivered on a 10-yr PPA for 5.5 cent/kWh without ITC and state subsidies, we will have something approximating grid parity. One thing to keep in mind is that electricity needs are quite seasonal. Typically, the peak electricity need is in the winter when electricity is used for heating, with perhaps a secondary peak in the summer, if air conditioning is used. Batteries are reasonably good (if expensive) for saving electricity that has been generated during the daytime for use at night, but they are not at all helpful for saving electricity for use during winter or summer peak needs. Coal and natural gas are stored for precisely the purpose of increasing generation during seasonal times of greater need. To make matters worse, if batteries eliminate the need for coal or natural gas during the time of year when intermittent renewables provide significant electricity, it creates a problem for the companies generating electricity using coal or natural gas. They need to hire their workers year around, if they expect to have trained staff. Also, if new workers are to be attracted to the field, they need to have assurance that they will have year around jobs. Even with batteries, fossil fuel backup will be needed for these seasonal high periods. The companies providing this backup will need to be paid a high enough price for their electricity so that they can stay in business and pay their staff year around, even if they are needed only part of the time. Even with batteries, we still have a very big problem with matching supply with demand! The only way this would change would be if we had huge batteries that would store electricity for months at a time, until needed. Your points about the seasonal demands for increased storage and the economic difficulties of seasonal plant operation are valid. However, both collapse when reaching the case of 100% RE. Wind, solar, and hydro are weather-dependent, and weather is a stochastic phenomenon that is not constrained by seasons or by historic norms. The 100% RE grid must simply have enough storage capacity to ride through any conceivable period of adverse weather, no matter if it happens when historical data and seasonal norms says it shouldn’t. The U.S. grid currently achieves 99.97% availability. That means we are going to need enough storage to ride through very unlikely weather episodes that have as little as a 0.03% chance of occurring if we are not going to suffer a loss of resilience in a migration toward RE. Storage to deliver that degree of assurance is likely more than 10 days (240 hours) of full grid load, not the 15-minute to 4-hour localized systems that are currently being fielded. For a 100% RE world of asynchronous generators like wind and solar, we also need massive storage power capacity for black-start and reboot of the grid following a major outage. For an object lesson in the perils of high RE penetration, we can look to South Australia which in the past week suffered a total blackout just four months after the closure of its last coal plant, succumbing to a scenario that was exactly predicted in advance by multiple sources. The outage left 1.7 million people without power, and iron foundries with molten iron destructively solidifying in their crucibles. Wind turbines don’t generate when the winds are too light, and they don’t generate when the winds are too strong, and they don’t supply synchronous inertia to stabilize grid frequency nor black start capability to bring it back up after a collapse. If one believes that global weather is becoming increasingly violent, despite the evidence to the contrary that has led NOAA and the IPCC to agree it is not, there is a fundamental logic error in promoting migration to energy sources that are climate-dependent and weather-vulnerable and have thousands of square miles of exposure. I realize there are other storage mechanisms than batteries, but, for this discussion, we must constrain ourselves to what is scaleable to the 100% RE world . The most cost-effective storage today is pumped hydro, but there is no prospect of scaling it up to the necessary capacity for 100% intermittent RE because of its geographic and ecological constraints. More expensive but similarly constrained is compressed air energy storage. (We have the same insurmountable geological limitations for hydrothermal generation and carbon capture, but those are different discussions). Mechanical storage in flywheels also suffers from low power density that makes similarly absurd demands for acreage and storage volume to meet requisite capacity. So that leaves us to manufacture higher density artificial storage as oceans of electrolyte and reactants in billions of voltaic cells and flow batteries and fuel cells. Since chemical storage is the only technology that can scale toward the 100% goal, it is the most pertinent price point to follow. (1) utility-scale energy storage is developing and prices will be dropping significantly over the next decade, driven by lower battery prices and new technologies. But even today, new energy storage approaches such as Quidnet promise low-cost storage in locations with the right geographical features. (2) While renewable energy presents additional costs to grid operators, fossil fuel energy presents additional costs to all of society. And while the renewable energy “external” costs are short-lived, the fossil fuel external costs last for hundreds to thousands of years. There is a reason why the entire world has agreed to lower fossil fuel emissions: they threaten the welfare of all future generations. If renewable energy is ever to become truly subsidy independent and earn its keep in electricity markets, that means there is a natural stopping point at which a marginal increment of wind or solar will become unprofitable. The market revenues earned by these VREs will eventually fall far enough that it’s no longer worth deploying more. This is also why the idea of reaching “grid parity,” or a levelized cost equal to the prevailing market price, is pretty meaningless. As soon as wind or solar penetration grows, the goal posts move further away due to this merit-order or market price effect. Wind and solar costs will have to keep falling to secure greater penetration levels and remain profitable at the ever lower and lower market prices caused by increasing VRE penetration. Alternatively, if wind and solar are to remain subsidized, the amount of public subsidy per unit of energy supplied will have to keep growing in order to push VRE shares higher and higher. 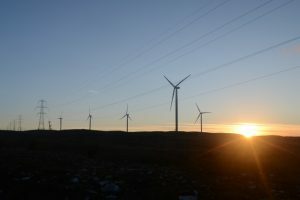 The total subsidy cost could rise sharply, as the price per MWh required increases alongside the quantity of electricity generated from these sources. Lewis: If all of a sudden there were a very large proportion of renewables on the grid, then I would agree with your conclusions. But by the time a large percentage of the grid’s power comes from renewables, the world will be a different place. The huge subsidy provided fossil fuels by allowing them to pollute the atmosphere for free will be on its way out. Storage will be much cheaper. Dispatchable renewables such as solar thermal will be more available. Demand response will lower the cost of accepting intermittent energy on the grid. And there will be more mandates that require renewables in place of fossil supplies. So for all these reasons, renewables will not hit a cost wall when their share of the grid becomes significant. Thanks for the link to the article that comes to the same conclusion that I do. I think that the underlying issue is that intermittent renewables displace very little, if any, backup generation, because as a practical matter, there are always some periods when neither wind or solar are producing electricity. As a result, we have two different sets of generation, operating at the same time. Needless to say, there tends to be more supply than is really needed most of the time; this mismatch tends to greatly depress prices and lead to negative prices. This is the underlying cause of the persistent low prices. If we think of the value of intermittent renewables as equal to the amount a vertically integrated utility would save by adding intermittent electricity to its generation mix to produce a given amount of electricity, we can see that the main savings associated with adding intermittent renewables would be with respect to fuel. Nearly all of the other generating units would still be needed. The only exception might be if the generation takes place in a warm climate, where solar energy reduces the amount of backup needed, because it cuts back peak electricity needs in summer. This may lead to a reduction in fossil fuel generation needed to meet summer annual peak generation needs. If the intermittent generation takes place in a cold climate, the annual peak is likely in the winter. Wind will be unreliable in meeting this winter peak, and solar is likely to be unreliable at that time of year. Offsetting the savings with respect to fuel costs will be additional transmission costs. These may be substantial, if an attempt is made to link distant areas. Besides the cost of new transmission lines, there is also the loss of electricity that occurs with long-distance transmission. Another cost that the utility will have to deal with is getting the intermittent electricity “up to grid standard.” For example, I understand that electricity is generally transmitted using a three-phase system. Electricity generated by a home system with an inexpensive inverter may not conform to this standard. There may also be other issues as well, including the type of sine wave inverter used, and problems with too much generation at one time. The net of all of this is that the utility saves very little by adding intermittent renewables. In some cases, it might actually add to its costs. Since it would be using utility pricing (that is, costs plus), it wouldn’t have to deal with the artificially low price problem. But the true value of the intermittent renewables would likely be far below the cost of building and operating the units. Grid parity seems to me to be based on a false understanding of what the units really are worth to an electricity system. They aren’t worth much at all. The fundamental requirement for an AC power grid is instantaneous balance between generation and load across many dimensions including power, frequency, and phase. Grid resilience and efficiency and safety are enhanced by anything that makes generation or load more controllable. Intermittency and uncontrollability in generation are anathema to all of the above. These twin evils impose new costs that others must bear, and which today are shifted to taxpayers and ratepayers via direct subsidy, dispatch priority mandates that distort markets, inflated end user excess power reimbursement rates that further distort the market, and a current nationwide rate structure dating from the 1930s that bundles most fixed costs into the volumetric consumption portion, and thus allows billionaires with huge tax liabilities and richer residential consumers with their own homes and disposable income to shift grid costs to poorer customers who lack the tax liabilities and rooftops and good credit needed to participate. As penetration of intermittent rises, these costs and cost shifts increase exponentially, from trivial and easily accommodated at low penetration, to requiring scores of billions of dollars of new dispatchable generation and transmission and demand-side management — where we our now. Going much further will require terawatt-hours of storage, and this is far more expensive than the new natural gas plants and transmission lines we have been building to date. We simply can’t get to 100% intermittent because this is all a giant cost-shifting scheme, and there would be no one left to shift the cost to. As others have indicated, the examples of other nations with higher RE penetrations are informative. We see that Spain’s government was bankrupted by RE subsidies and reneged on them. We see that Germany has largely exempted its industry from the costs of its energiewende to try to keep them internationally competitive, and thus blatantly shifted costs to residential and commercial consumers, dramatically increasing energy poverty in one of the world’s richest nations. They have now hit a level of pain where they ave imposed RE curtailment requirements for grid stability on virtually all PV solar, and are rolling back RE tariffs to try to control prices that are the second highest in Europe. Denmark holds the record for wind penetration and also for the highest retail electric prices in Europe. They also have drastically cut wind subsidies over recent years. The UK government dramatically reversed course on RE this year, as has Ontario just this week, suspending 1,000 MW of pending projects. Wind generation growth peaked globally in 2009 and has been declining year-on-year since then. PV solar appears to be ending its exponential growth trajectory, even as it provides far less than 1% of the annual global total, and only 7% of even Germany’s annual consumption. Eventually, governments exhaust their ability to hide the real costs of intermittent energy in ballooning national debt and increased taxes and cost shifting to the balance of the grid. When the reality hits consumers in their wallets, they find it more compelling than the false morality play stereotypes of green and good v. dirty and evil that do not bear up under rigorous lifecycle scrutiny in any case. Every form of energy has its environmental and emissions footprint. Some are more obvious as they happen primarily in the operational phase at the power plant. Others are less visible as they happen primarily in the manufacturing and decomissioning phases. A CSP solar plant that paved over 3 square miles of habitat just this week was slapped with a $1.5 million fine for polluting emissions of chemicals which are the precursors of PCBs. The EU is moving toward a freer market for power where intermittents compete on a level playing field with other generation by having to bid their firm production a day-ahead and are responsible to pay the LMP cost of replacement power if they don’t deliver. Under those terms, and without PTC and ITC and interconnection and ancillary service subsidies, no one could object to any form of energy being introduced to the grid. The market would be truly free to price it and to reject it if it is not cost-effective. It would put the cost burden for upgrading intermittent power to dispatchable power on the generators themselves where it belongs. Under these circumstances, there would be no further meaningful growth in wind or solar until there is an order of magnitude breakthrough in battery storage and price, neither of which are imminent. It is the cost of dispatchability, not the cost of generation, which has always been the millstone around the neck of solar and wind. Europe is finally getting the idea that it has to cut back on its ridiculous subsidies. The politicians in the US, plus those who are convinced that intermittent renewables will save us, keep the ridiculous US system operating. I am not an expert in this specific area, but I try to keep learning about all renewables, both pros and cons. Here is an analysis that seems pretty compelling to me about why electricity from solar and wind get more expensive the more market penetration they achieve. Sure, there are technologies to deal with the problem, but they also cost. We are more likely to find real solutions to the limitations of renewables if we acknowledge and deal with them directly. It seems obvious to me that we need storage capacity or “buffering” for all energy sources. This is straightforward for solid, liquid and gaseous fuels…it is not so easy for electricity. One potential solution is the power to gas option, which seems to make a lot of sense. Combine low cost electricity with carbon dioxide and store hydrogen on its best carrier…carbon. Dr. Dale hits two nails squarely on the head in his comment above. First, he makes the point that accommodating intermittent RE on the grid is more costly as penetration rises. He cites an informative 2015 study that quantifies the diminished value of electricity that is uncertain in timing, uncertain in magnitude, and geographically remote from load. All of these shortcomings must be compensated for by other parties on the grid through significant CAPEX and VOM cost shifting. The study concluded that, with current cost and performance data, penetrations above 2% for wind and 0% for solar are currently a net drag on the grid and detrimental to society. Second, with respect to fuels, he briefly touches on the utility of carbon. This deserves a fuller explanation. Those who advocate for a hydrogen economy do not understand that hydrogen is not an energy source but a perishable energy carrier that has to be generated from other sources at a significant net loss of energy. And hydrogen itself is very difficult and dangerous to handle, making it a poor fuel. Carbon, on the other hand, is a primary energy source, but is also a chemical miracle worker that literally forms the backbone of organic chemistry. Hanging hydrogen molecules on a carbon backbone is the most efficient and effective way to package and handle both energetic atoms and make them into the world class fuels known as hydrocarbons. When we mix carbon and hydrogen together in approximately equal atomic ratios we get liquid hydrocarbons, a most versatile and energy-dense fuel. There is 63% more hydrogen and 4 times more combustion energy in a gallon of gasoline than in a gallon of liquid hydrogen. When the carbon fraction is higher than the hydrogen, we get solid hydrocarbon fuel (coal and coke), and when the carbon fraction is much lower, we get gaseous hydrocarbon fuels (e.g., methane). Carbon is the miracle worker that converts explosive and diffuse hydrogen from something that must be compressed to 10,000 psi or chilled to -423 deg F, to something that can be safely handled at ambient pressure and temperature. It is no accident that energy-hungry life on Earth is based on carbon chemistry. Synthesizing hydrocarbons using electricity as in the “power to gas” option mentioned above, is feasible, but very costly in energy. It only makes sense if there is a massive surplus of very cheap electricity not generated by burning hydrocarbons. This will only be an economic reality at the necessary scales when we get past the stigma and fully embrace nuclear power. I would like to add several things that you might not be aware of …. from a new study by NOAA and University of Colorado Boulder researchers. “Although improvements in wind and solar generation have continued to ratchet down the cost of producing renewable energy, these energy resources are inherently intermittent. As a result, utilities have invested in surplus generation capacity to back up renewable energy generation with natural gas-fired generators and other reserves. Regarding … The only way this would change would be if we had huge batteries that would store electricity for months at a time, until needed. This is the same idea put forth at ERGIS, at Stanford’s Solutions Project, and by Dr. Willets at the University of DE regarding East Coast Offshore Wind. There is also another model that suggests ALL summer peak energy on the East Coast can be supplied by the combination of solar and wind because they are synergistic. Certainly some gas would be available too. Finally, the biggest integrator is the reduction of grid demand from efficient buildings and on-site generation. Citi-Group believes the potential for grid reduction could go as high as 50%. Isn’t it interesting that the same people who claim that distributed generation will free people from the grid then turn around and theorize a super-grid where everything is connected to everything? The fanciful theoretical “studies” like the one cited above always crash and burn when even rudimentary mathematics and physics are applied. A grid robust enough to handle terawatt-scale waves of power flowing across continental areas according to the unscheduled vagaries of the weather is a far different thing than the optimized, cost-effective, tightly managed, hub-and-spoke power grid we have today. The mass of hardware and the complexity of controls necessary to create networks is exponential to the number of interconnected nodes and also exponential to the transfer capacity and transfer volatility between nodes. The interconnections and capacity and flexibility necessary to collect wildly fluctuating power from whichever of hundreds of millions of individual sources happen to be net generators at a particular instant and shunt it without bottleneck to hundreds of millions of different points that happen to be net consumers at that instant is astronomical. The amount of steel and concrete and copper and aluminum and wood and glass and polymer to build such a network, and the hundreds of millions of acres of deforestation for power line right-of-way that would be required would be unconscionable wastes of natural resources, especially when almost all of it would operate at single digit capacity factors. Wind and solar power are not free. A truly renewable part of RE is that the hardware that collects the energy must constantly be renewed. And the recapitalization required to keep a massive and complex and vulnerable and underutilized “Weather Web” power grid operational would be in addition to the recapitalization of the 400% overcapacity nameplate RE generation that is required to produce 100% of the nation’s power. And most of these studies just wave their hands at these capital costs and posit that it will all be amortized over generations by perpetual recycling without taking a serious look at the enormous energy and emissions and dollar costs of recycling, which are significantly greater than manufacturing new components from freshly mined virgin materials. Long before we got close to 100% RE we’d need to commission a national wind and solar and battery waste disposal site on several square miles in Nevada to hold all the defunct components that are too expensive to shred and melt and separate out the toxic metals and rare earths and solvents and fibers and particulates. The great irony of “renewable” energy is that these various approaches each require industrialization of the landscape and destruction of habitat and consumption of finite resources on a scale that dwarfs fossil fuels per unit of energy delivered. I’m not aware of anyone who says wind and solar power is free. Nor do energy experts claim it will be easy to get to 100% zero carbon energy. Moving to a clean energy world is a difficult challenge, but one we must pursue. As John Kennedy said, “We chose to go to the Moon and do the other things. Not because it is easy, but because it is hard.” Likewise, the clean energy challenge can inspire us to greatness. And if someone thinks moving to clean energy world is hard and expensive, the cost of not going there will be much harder and much more expensive. Regarding … The fanciful theoretical “studies” like the one cited above always crash and burn when even rudimentary mathematics and physics are applied. NREL is helping the Army assess and deploy energy efficiency and renewable energy technologies in support of nine Net Zero Energy Installation (NZEI) pilot programs. Energy managers at each Army installation are working to achieve net zero energy use by 2020 by working with NREL to reduce energy consumption and produce as much renewable energy on site as the installation uses over the course of a year. These energy efficiency and renewable energy strategies can be replicated across the DOD and other federal agencies, setting the stage for broad market adoption. The piece that seems to be missing in your conclusions is efficiency. It is an essential part of DODs plans and others believe it will reduce by possibly 50% the amount of central grid electricity required. In addition, many believe EIA’s numbers are not accurate regarding distributed installations. “The United States could slash greenhouse gas emissions from power production by up to 78 percent below 1990 levels within 15 years while meeting increased demand, according to a new study by NOAA and University of Colorado Boulder researchers. “Clean power supplied almost all of Germany’s power demand for the first time on Sunday, marking a milestone for Chancellor Angela Merkel’s “Energiewende” policy to boost renewables while phasing out nuclear and fossil fuels. So this is an existence proof that 100% renewables is possible. Some people may complain that power prices turned negative during this episode of high renewable production, but renewables (with very small incremental cost of production) will win out over fossil fuels in such an environment. And we must drive the revenue of fossil fuel energy to zero (though carbon pricing, regulations, or straight competition) if we are to indeed move to a clean energy economy and have any hope of minimizing the future impacts of climate change. I assert the focus of this article is fantasy. Why would any country want to select only two renewable resources out of the portfolio ? The basis of any sustainable energy plan is to integrate high-value energy efficiency, because it is always less expensive to save energy than generate it from any source. So a goal of maximum practical energy efficiency is critical. Energy storage should be seen as a facet of energy efficiency, allowing the grid to store electricity when it is at the lowest cost for energy demands to offset generated electricity at higher costs. Here too, the entire portfolio of energy storage should be utilized, not only including battery banks, but pumped hydropower storage, compressed air and liquids, flywheels, and even hydrogen production. Distributed storage also provides frequency control, power quality (alleviating surges, sags and transients), and electric power reliability. And finally, geothermal, biomass (wastes to electricity and thermal), freeflow hydropower including marine and tidal, concentrated solar power (with molten storage) and even waste heat — all 24-hour power in addition to solar and wind. The premise of a solar-only and wind-only renewable energy option are ridiculous. Rather, photovoltaics and wind can provide substantial and significant amounts of electricity, as can the other renewable energy options. Once we maximally reduce electric loads, why not optimize the resources based on availability and costs and integrate energy storage to maximize efficiency and reliability ? We need to stop creating arbitrary selections of the sustainable energy portfolio. Not only is there no reason for it, such an approach is fantasy. Scott: You are correct that there are many forms of clean energy that we can and should use. Your comment highlights the problem with incentivizing clean energy vs. putting a price on the bad thing (fossil fuels). If we put a rising price on carbon, we are incentivizing all forms of non-carbon energy. The market will then figure out the proper mix of solar PV, wind, geothermal, solar thermal, etc., etc.